One of the things that nanay (English: mother) and I share in common is our vanity for nails. And now, she shares my love for nail art. And so, whenever I can, I do some nail art for her. 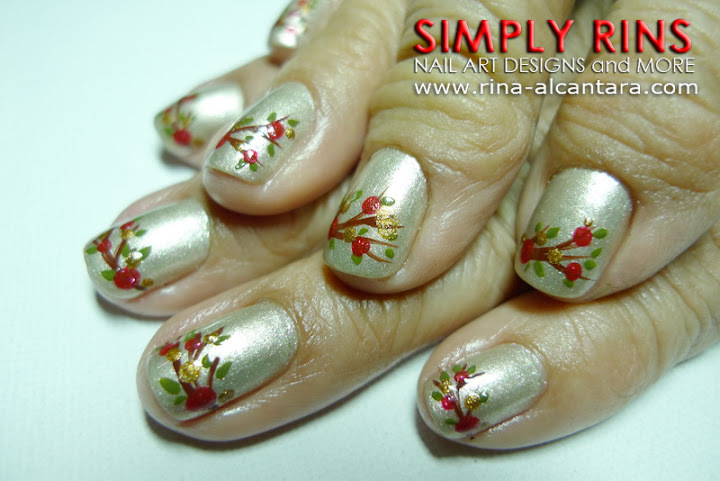 I painted a Christmas nail art design on her nails a few night back. I called it Christmas Twigs. Base color is 3 coats of Deborah Lippmann Believe, which she had a nail technician apply on her recent nail salon visit. I hand painted the design with acrylic paint and some glitter polishes.